We used to travel a lot but before then, it is just the two of us, and that’s me and my husband. Our family just recently decided to pay our homeland a visit. But, this time, we will be traveling with our son. And he is 8-months old. 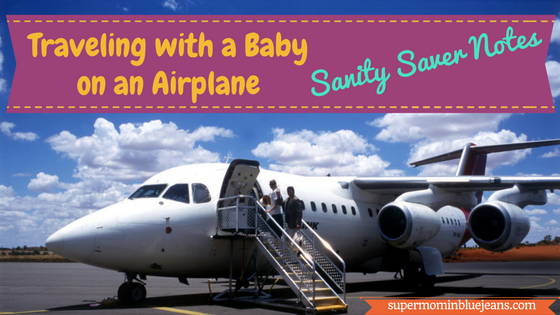 So, I figured it would be best to share my experiences traveling with a baby on an airplane. My goal for this is to save other parents sanity and worry not about your little ones as I know, you all got this! Oh yeah, you heard me right! Again, immigration! And it’s absolutely crazy to think that your baby might get left behind due to whatever legalities of each country you’re going to and you will leave behind. So, make sure you got your baby’s passport with you, bring also his legal documents with you like birth certificate, baptismal certificate, health card, etc. whatever docs you may have especially those important papers that appear with your names that serve as your proof as the legal parents of the baby. Also, be prepared to make your baby available to be seen and check by the immigration officers. I remember when we were in the security screening area, they looked in the passport of my baby, asked me how many months he was in the passport photo, and then he glanced at my baby, maybe to check facial features or whatever they may need to check. And, one more thing, during the security check, make sure you prepare and got to hold your baby because they will also screen the strollers and car seat. And last but not the least, every time you fill up forms like any declarations, make sure you count your baby as one person, meaning, you will also declare his milk — because that’s a dairy! and dairy products are not allowed in other countries, but since it is for your baby, they will allow it for sure, you just need to declare it, your budget allowance for your baby, etc. Make sure before your trip, you did your part on researching the policies of your corresponding airlines. Needless to say, if you got connected flights, you have to check each airline policies specifically traveling with baby guidelines, what you need to know the weight and number of the baggage allowed. On our part, we paid for an infant seat, for a comfortable long flight. So, the choice is yours whether you want to pay for an infant seat or a lap seat. If you are concerned about your stroller and car seat if they are part of the baggage, you might as well call the airlines just to make sure. But on our part, (we are flying WestJet, AirCanada, and Korean Air by the way) we didn’t encounter any difficulties at all. In fact, we just gate checked everything, so we didn’t have any trouble bringing our baby around in the airport. You might also want to request a kid’s meal for your little one if you are starting to give him solid foods. They accommodate requests like that. I requested boiled eggs, white bread, yogurt, fruit slices for my baby. Some airlines require that a baby is at least 7 days old before allowed to travel in the airplane (that’s AirCanada) while others like WestJet just need a doctor’s fit to travel note. Moreover, part of the immigration and security check is immunization card of the baby. So, make sure, you also check the immunizations of your baby based on how many months he is. You can always go to public health centers to inquire about this and tell them that you will be traveling and they will help you out for sure on what particular immunizations your baby might need. Keep the immunization card with you as part of the important documents of your baby. We just flew under economy class and our seat is located on the left side wing of the plane. And this is what I regret the most so I am sharing it with you, you can request the airline for a seat that will give you an additional space/room for your leg (that’s what they call it). They can also provide a bassinet for the baby so your baby can be comfortable when he sleeps. On our part, we didn’t know that. We just have a car seat with us attached to the seat of the plane for our baby. And even if he has his own seat, he has a little space to roam around below our seats (well, he is in the crawling stage mode and he crawls a lot!) So, make sure you request for that! Each passenger has its own way of dealing with having a baby on the plane. So, don’t get too skeptical about it. Some will like it while some others don’t! Likers will be the one who loves babies around. They will surely play a ‘peek-a-boo’ with your baby and give them a high-five. While some others will stick their headphones to find some peace of mind not hearing your baby’s crying and cranky moments. So, make sure you also do your part as a parent to make sure your baby is peaceful and not so totally freaking out. Keep in mind that it will also help if you feed your baby during the landing and take-off. It will lessen the strain in his ears and the crying. Baby medicines and medicine kit (teething gels/tabs, soother, colic drops, etc) especially when your baby is in teething stage, colic, etc. You can make feeding time easier on a plane when you put your baby in a comfortable seat. If you will have long flights, it will be a total relief for you and your baby if you will buy him his own seat. Like I said, it works for longer flights, but if you will travel like for 2-3 hours, you will get by just fine. Cleaning your baby while on a plane requires a lot of patience and skill (ha-ha!) The diaper changing table in the plan is narrow and if you have a baby with ninja moves you got to have a lot of strength to hold on to your baby. Make sure you don’t bring the whole bag with you, just bring the important ones like the diaper, wipes, and some clothes if you need to change him. For smooth travel, you have to work out with your husband (or anyone who’s with you on travel) to help you around on things with your baby. My husband is the one who pacifies our baby and walks around the plane holding our baby to keep our baby distracted. Work as a tag team, help each other, take turns on resting/sleeping so you can always have your eyes on your baby. And most of it all, enjoy the whole flight and your travel! Take pictures of some good memories. So there you have it! Those are my sanity saver notes for every parent who are planning to travel with a baby on a plane. Please feel free to add any of your advice, suggestions or any comments below. this is great advice for travelling with a little one! I have really loved those bassinets on long haul flights and one piece of advice i picked up when I went around the world with my 15month old was: go to a discount store and buy a bunch of little toys and wrap up each one separately. Then every time the bub gets bored, whip out another little present. My son loved it and it took a while to open the gift, then time to figure it out and have a play before he lost interest again. Another thing I did was I gave him a piece of coloured chalk and let him draw all over our seat area, and then gave him a wet wipe, and got him to clean everything. the tray table, and the window and the armrest and the walls. Thanks so much Kris for sharing yours as well. I absolutely agree with you that children need to have some sort of distraction. And most important thing is just enjoy the whole trip together with the loved ones, right?! Thanks again.